Orthodontic rubber bands, or elastics, are one of the most common tools orthodontists use to straighten your teeth. 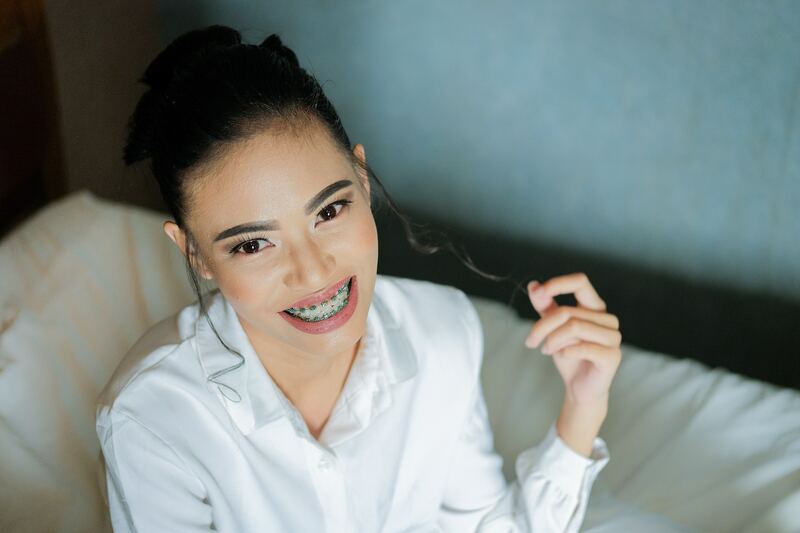 We use rubber bands for almost every patient who receives traditional metal braces, as they provide the necessary connective forces needed to move your jaws and teeth into proper alignment. But what do rubber bands do for braces? Continue reading to learn more about how they work. What are Rubber Bands for Braces? Ligatures are wrapped around each individual bracket to hold the archwire in place. These types of rubber bands stay in place all of the time and are only removed at your check-in appointments. Interarch Bands focus primarily on aligning your jaw and fixing your bite. Our patients usually start wearing rubber bands 4-6 months into their treatment plan. But Still, What Do Rubber Bands Do for Braces? Our patients typically wear rubber bands on either side of their mouths. We hook them onto the brackets that are attached to the top canines, then stretch them down to the brackets attached to your bottom molars (or vice versa). Rubber bands then work to either pull your jaw forward or backward, depending on what movement you need. Proper alignment means that your upper teeth and lower teeth line up and fit comfortably together whenever you bite down. We use rubber bands to accelerate this process. Keep your rubber bands in a safe spot so you don’t lose them. Replace your rubber bands every time you take them out and always replace each side at the same time. If one breaks and the other stays in place, go ahead and replace them both to apply the same amount of tension to both sides at all times. Always remember to remove your rubber bands each time you eat and brush your teeth. Orthodontic rubber bands are a big step in getting closer to achieving a healthy and straight smile. We understand that you may have some nervousness about getting rubber bands for the first time. However, we believe that after a short adjustment period, you will hardly notice the rubber bands while they work to straighten your teeth and align your jaw. We hope that better answers the question: What do rubber bands do for braces? We are committed to helping you achieve the best possible smile, and so we will make sure you fully understand how to use rubber bands before leaving our office. But as always, please contact us at any time if you have questions or concerns! We’d be happy to help in any way possible!